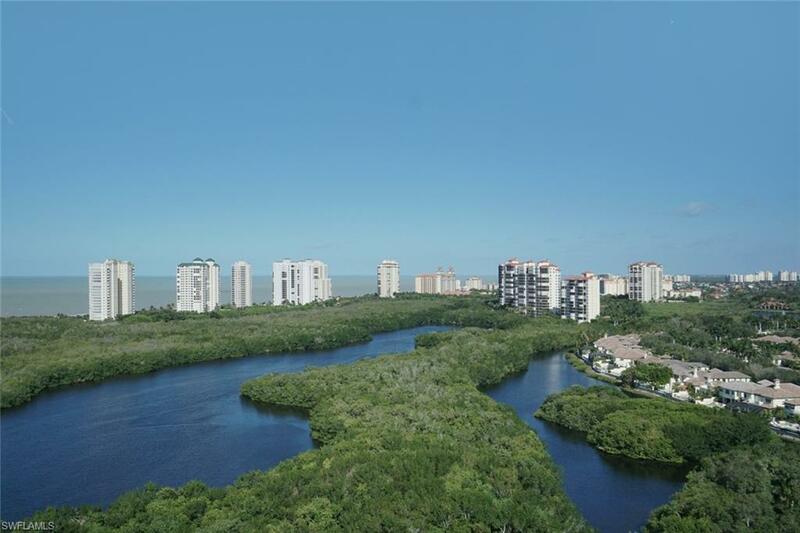 YOU WILL NOT FIND A MORE ATTRACTIVELY PRICED PENTHOUSE IN ALL OF NAPLES CONSIDERING THE SIZE AND CONDITION OF THIS UNIT, AND THE QUALITY OF THE MONTENERO. AN EXTRAORDINARY OPPORTUNITY FOR THE DISCERNING BUYER TO ENJOY THIS FORMER WCI MODEL AND THE NEWLY RENOVATED (AND PAID FOR) LOBBY/AMENITY LEVEL. 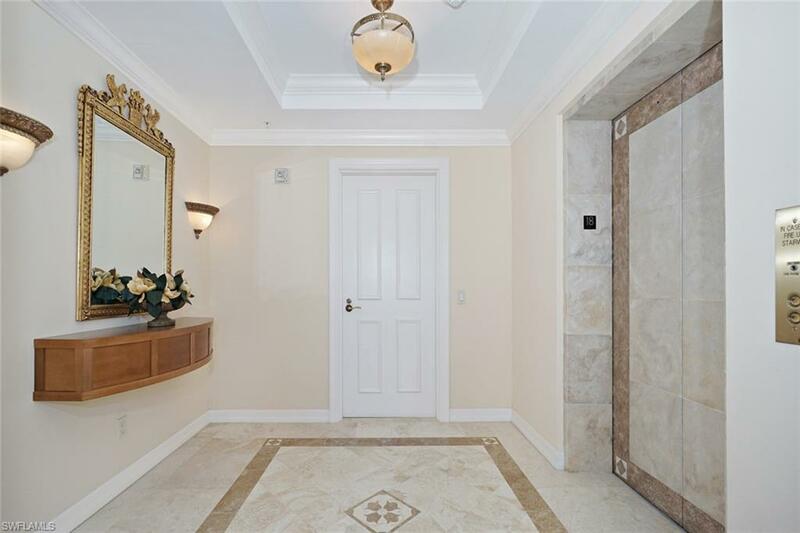 THIS HOME CAN LIVE COMFORTABLY AS IS, BUT IS PRICED TO ALLOW A COMPLETE RENOVATION, RESULTING IN A HOME MARKET-COMPETITIVE WITH THE BEST OF NAPLES' PENTHOUSES WHEN DONE. 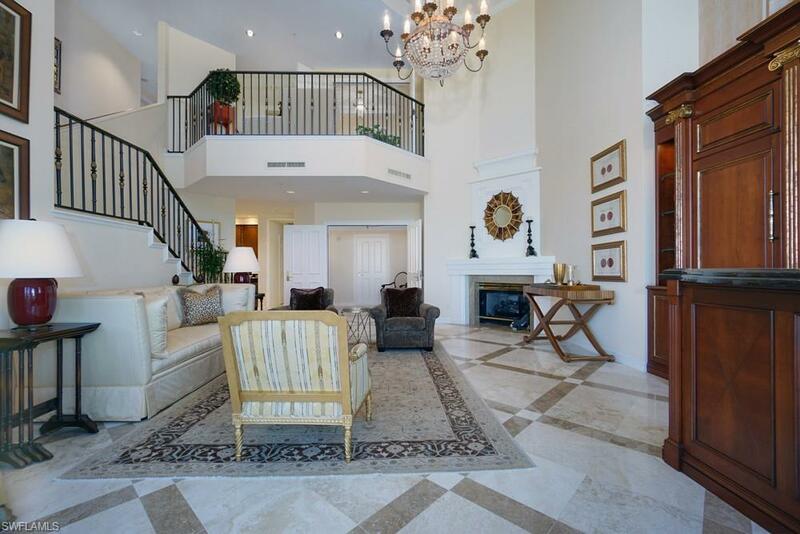 THE SECOND FLOOR OF THIS TWO-STORY PENTHOUSE FUNCTIONS AS A PRIVATE OWNERS' RETREAT WHEN GUESTS ARE VISITING, INCLUDING THE MASTER SUITE, HIS AND HER BATHS, AN OFFICE, WORKOUT ROOM WITH SAUNA, PRIVATE WEST FACING "BALCONY" LANAI AREA, AND A SPARE BEDROOM WITH ENSUITE BATH. THE FIRST FLOOR FEATURES A TWO-STORY GRANDE SALON PLUS A FAMILY ROOM, FORMAL DINING WITH BUTLER'S PANTRY, SPACIOUS KITCHEN WITH ISLAND, PARLOR BATH, AND TWO ENSUITE BEDROOMS FOR YOUR QUESTS. ELEVATOR OPENS TO 19TH AND 18TH FLOORS. 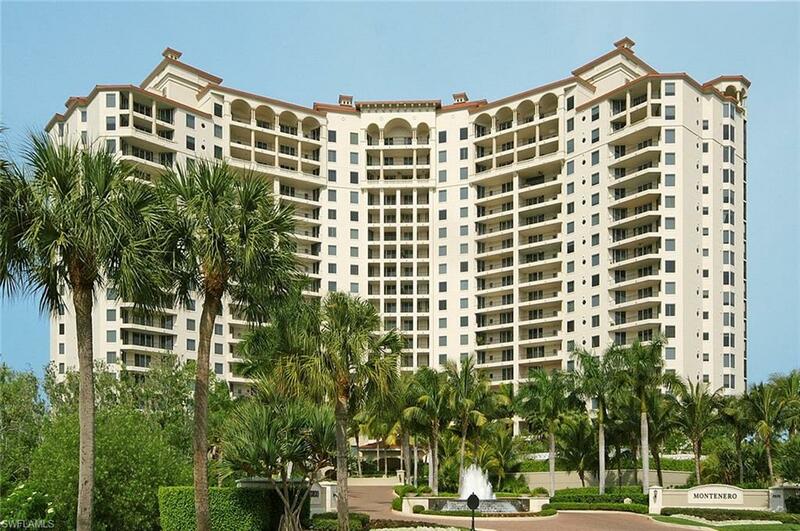 YOUR PRIVATE TWO CAR GARAGE WITH ADDITIONAL AIR CONDITIONED STORAGE IS JUST STEPS FROM THE ELEVATOR. ALL OF THIS IN PRESTIGOUS PELICAN BAY WITH ITS BEACH FRONT FACILITIES INCLUDING TWO RESTAURANTS. THIS ONE HAS IT ALL!